This is a little bit disclosure, a little bit boast: Maia writer Paul Dean spent about a year writing under the auspices of this website. 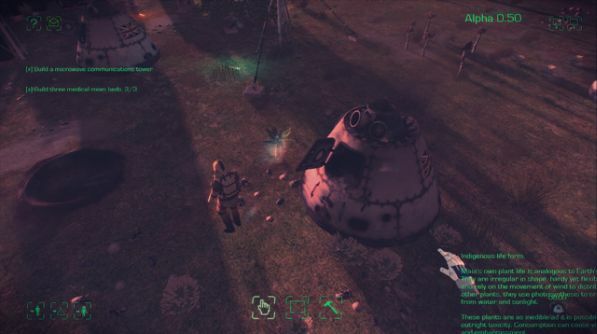 We’re seeing some of the fruits of his work on the sci-fi strategy sim now, as three new standalone scenario missions come to Steam Early Access. Looking for a voluntary management role? Play one of the best strategy games on PC. This Christmas will be the third Maia creator Simon Roth has spent publicly plugging away at the beta build of the game. Version 0.51 is notable for balance changes, bug fixes, better 64bit performance, solar events and those missions – which are intended to unravel some of Maia’s narrative. Expect several hours of single-player management, played out during a bleak arctic winter on a remote research station, in an equatorial jungle on SN1572, and in the aftermath of a micrometeoroid problem on Cassiopeia (turns out there isn’t a cream for that). “Many more hours” of sci-fi scenarios will come in the months ahead. Have you been playing any of Roth’s Bullfrog-inspired sim stuff?